On August 23 2017, LIST researcher Bianca Rita Pistillo will receive the renowned Scientist Medal 2017 by the International Association of Advanced Materials (IAAM) in Stockholm. 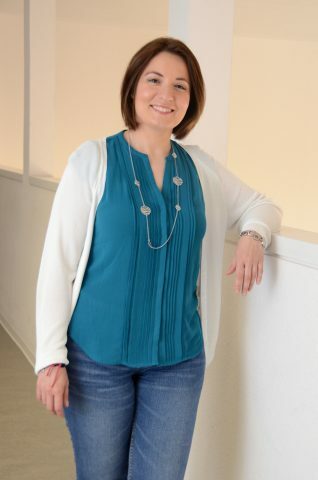 In recognition of her outstanding research on the deposition of a conducting polymer called PEDOT, Bianca Rita Pistillo, a researcher at the Luxembourg Institute of Science and Technology (LIST) will be honored with one of the most prestigious awards in the worldwide advanced materials community. Miss Pistillo will receive the renowned Scientist Medal 2017 on top of her invitation to present her paper at the European Advanced Materials Congress 2017, on August 23rd in Stockholm. The International Association of Advanced Materials (IAAM) issuing this Medal is the main international network and interest group for researchers in advanced materials. Miss Pistillo’s IAAM-acclaimed research focusses on a deposition technique of the poly(3,4-ethylenedioxythiophene) (PEDOT), an almost transparent conducting polymer that possesses several inherently advantageous properties, such as low oxidation potential and moderate bandgap combined with good stability in the oxidized state. Together with Mr Kevin Menguelti, the engineer with whom she shared her this challenging research line since the beginning, miss Pistillo has demonstrated the LIST proprietary technique named “Plasma radicals assisted polymerization” via CVD (PRAP-CVD) as an efficient alternative to conventional vapour based techniques to deposit conjugated polymers. Thanks to its unique properties, PEDOT deposited via PRAP-CVD could be easily applied to products in several markets including medical, sports, military and energy. One of the main advantages is that this deposition process is completely dry, opening the possibility of processing solvent-sensitive substrates such as paper. This overcomes the effects of rinsing on the underlying films in the case of multilayer structures. Miss Pistillo’s team also demonstrated a unique ability of PRAP-CVD in depositing high conformal films on complex 3D substrates. This will allow to expand the application of PEDOT to highly structured surfaces such as fibers and fabrics.